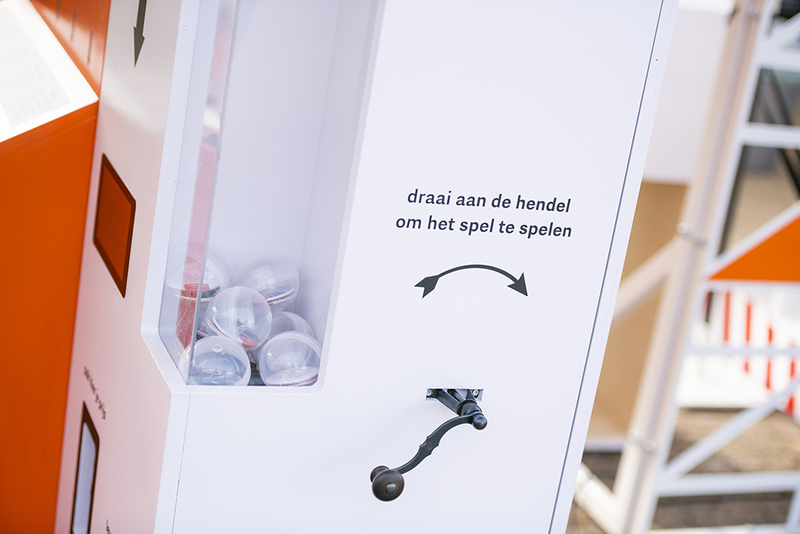 With the cooperation installation you experience the necessity, usefulness and pleasure of collaboration. 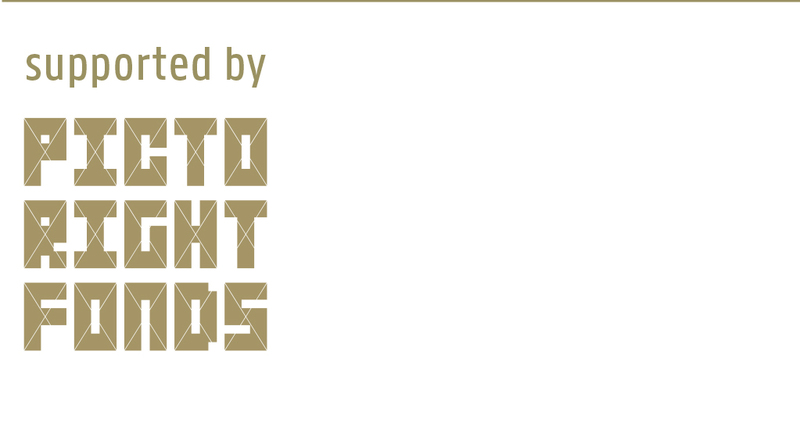 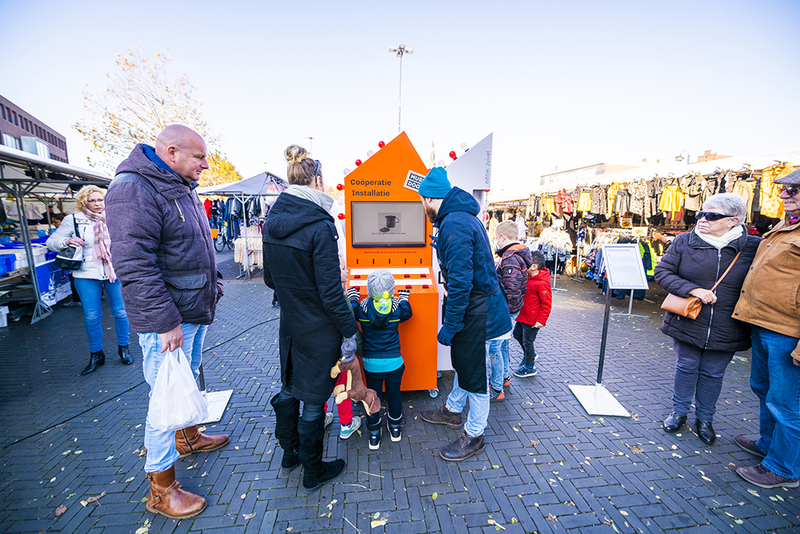 Cooperations like, Etos, Rabobank and Friesland-Campina are founded in Eindhoven and left their mark on the cultural identity of the city. 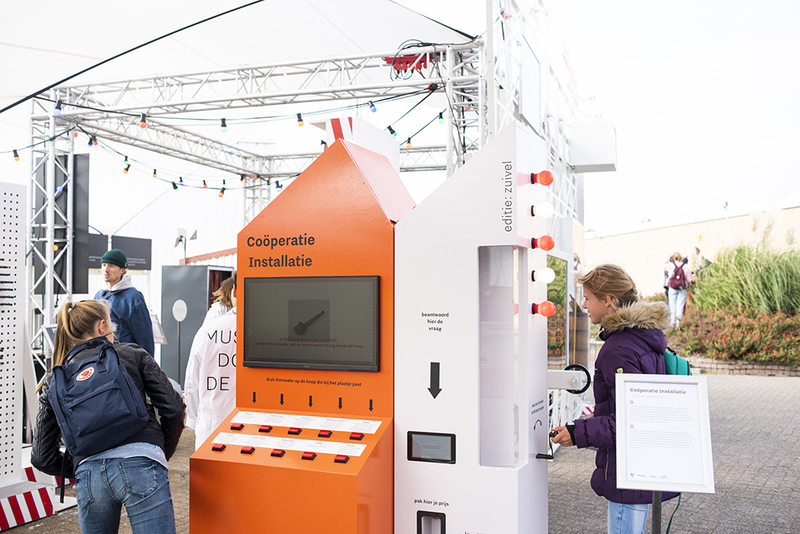 To experience the necessity, usefulness and pleasure of collaboration Mies Loogman designed the Cooperation Installation. 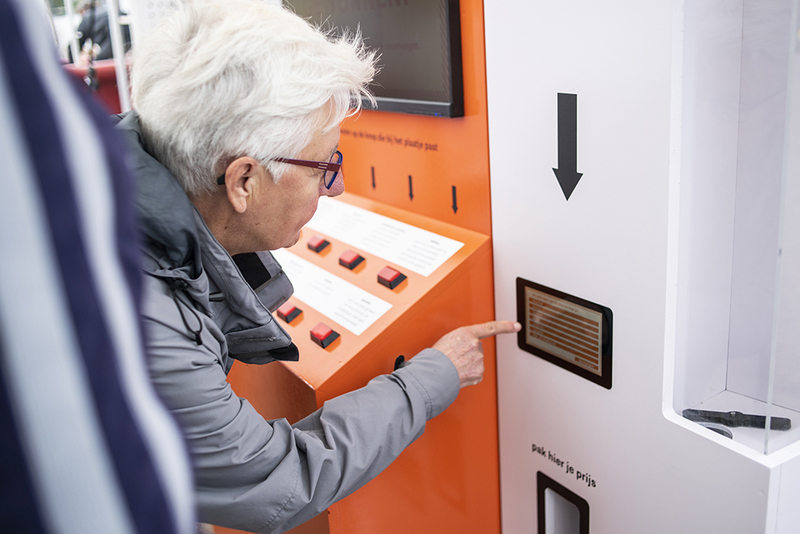 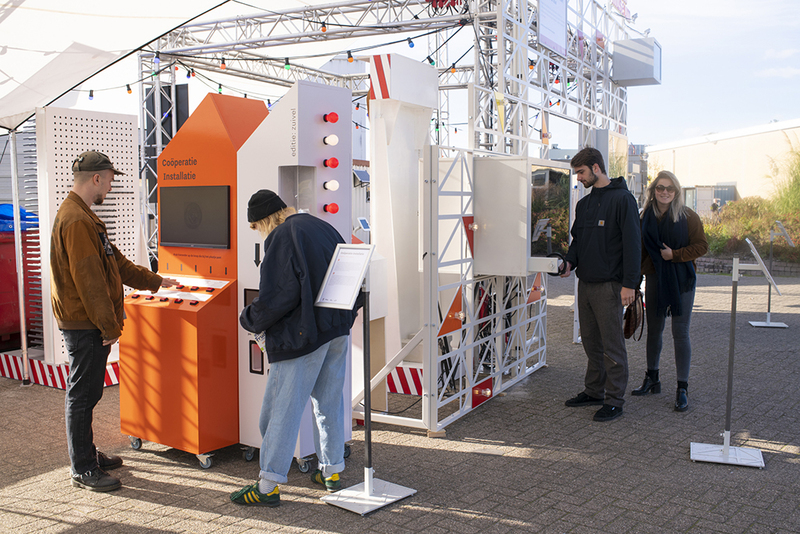 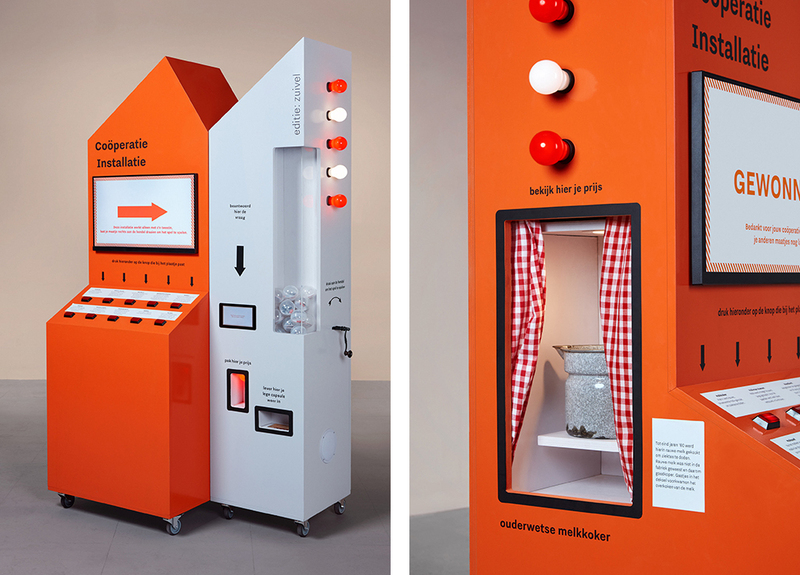 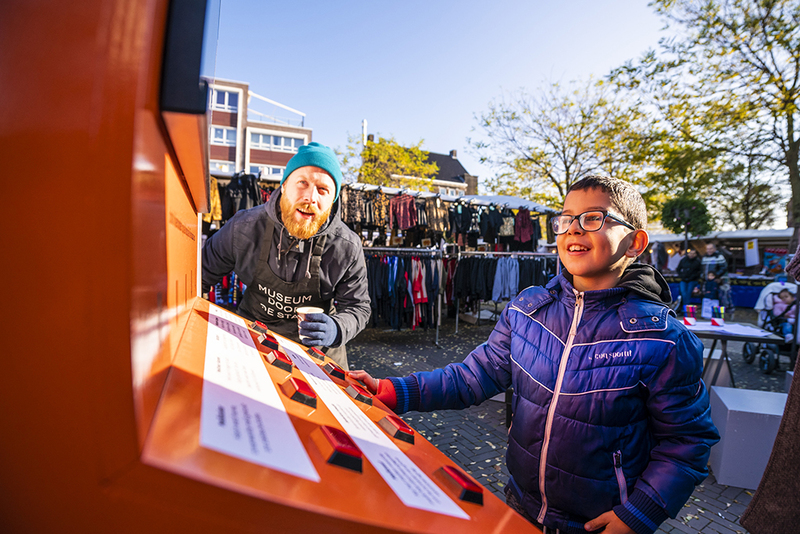 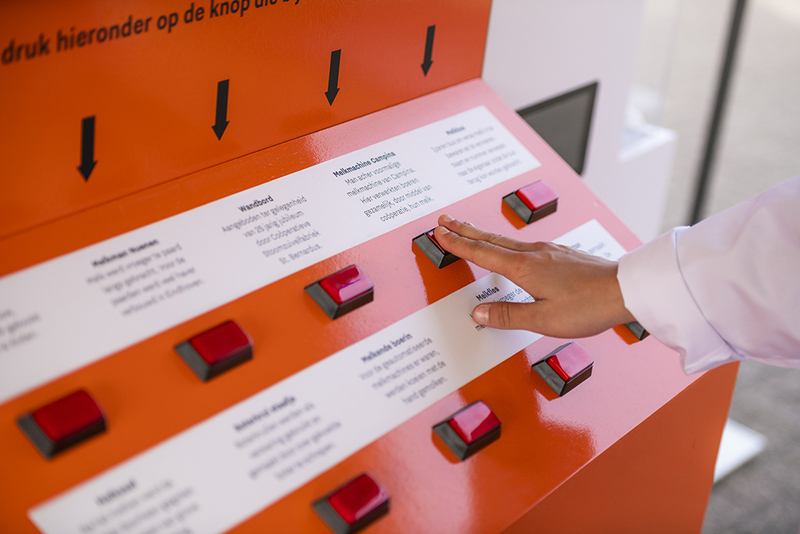 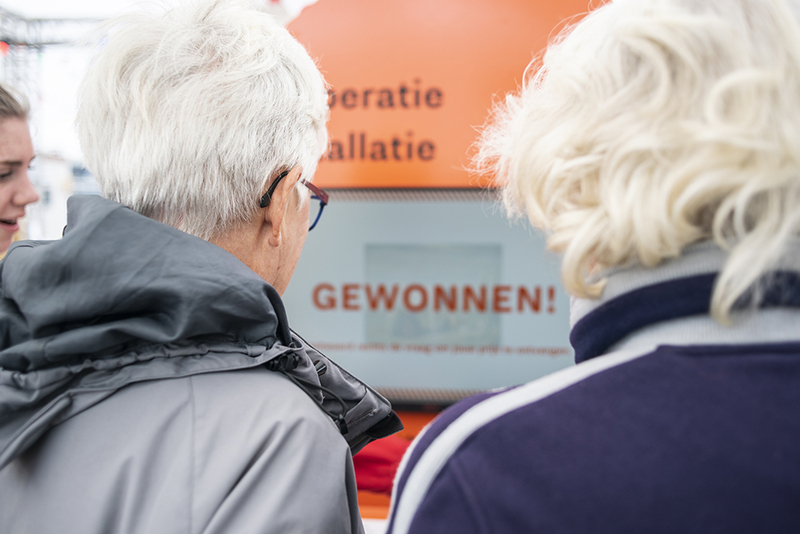 Together with your mate you can operate the machine and make the right combinations to win information about the collection items of Eindhoven Museum and leave some data about your habits with us. 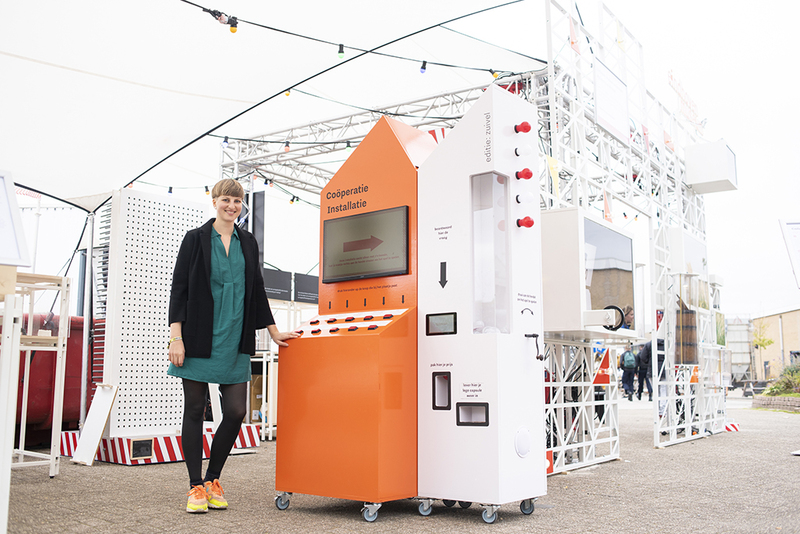 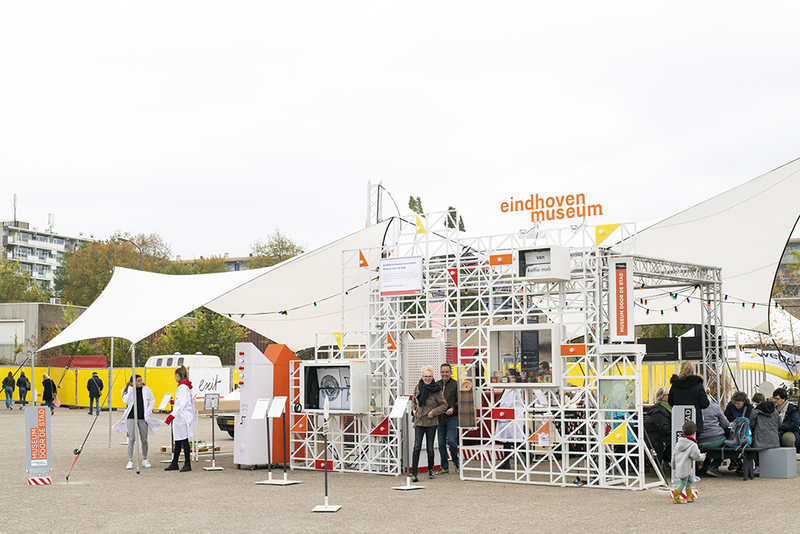 The Cooperation Installation is part of the project ‘Museum door de Stad’ commissioned by Eindhoven Museum and will travel for the next 2,5 years through Eindhoven displaying different parts of their collection, each time with a different theme. 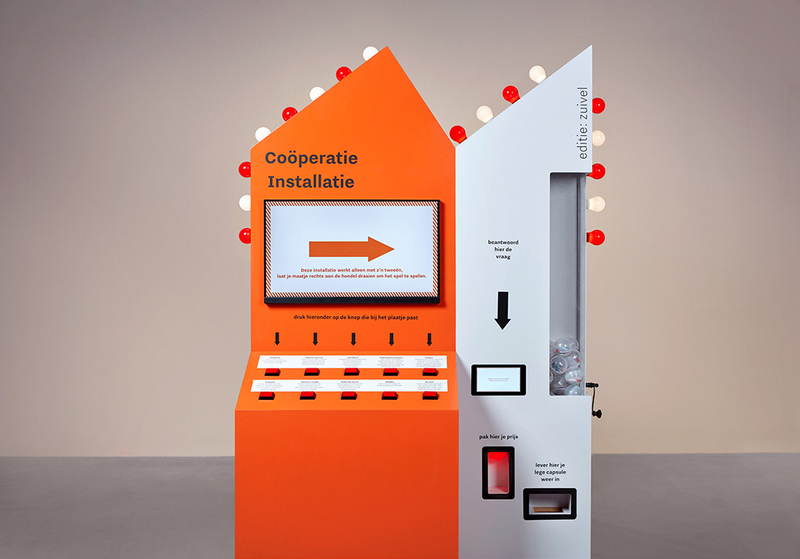 Cooperation Installation by Enlightens, commissioned by Eindhoven Museum, 2018.